Are you in need of professional furniture cleaning in Southfield, MI including spot and stain removal? Capital Carpet has over 36 years of experience cleaning upholstered furniture in Southfield Michigan. 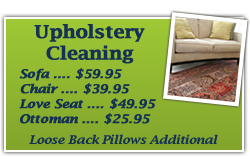 We’re one of the most experienced companies for upholstery cleaning in the Southfield MI area. Our average resident upholstery cleaning expert has been with us for at least 10 years. They see to it that stains, spills and soil are removed without hurting your fine fabrics. We also will clean vinyl, leather and period fabric pieces so you can make your room look new once again. Looking for a reputable company to carefully clean your upholstery in Southfield Michigan? 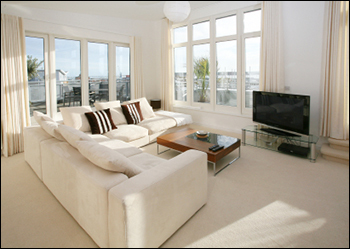 The employees at Capital Carpet Cleaning and Flood are experts in upholstery cleaning. We are also family-owned and will treat you with the care you deserve. Besides handling vinyl, leather, period fabric pieces, satin, silk, velvet, cotton and Haitian cotton, we also do pre-vacuuming, spot and stain removal, bonnet cleaning, dry cleaning and steam cleaning. We understand that sometimes fabric gets soiled. That is what we’re here for! Capital Carpet can clean upholstery using many different methods. We’re technologically up to date and will do whatever it takes to make your residential or commercial furniture look fresh again. We use only the most advanced equipment and the safest products available. Technique and chemical developments have made it possible to provide superior upholstery cleaning results in your home or business. We have no hidden upholstery cleaning costs or fees. Call us at 248-542-3636 for quality upholstery cleaning services. We have over 36 years of experience cleaning upholstery in the Southfield, MI area and will take great care with all your upholstered furniture. Testimonial: "Matt did a wonderful job, I will ask for him from now on"
Testimonial: "Exceeded my expectations! Who knew red wine stains actually can be cleaned! Great technician"
Testimonial: "Excellent work, on time and extremely professional"